Very light wear as typically found on a vintage piece of jewelry - this necklace is in fabulous condition! 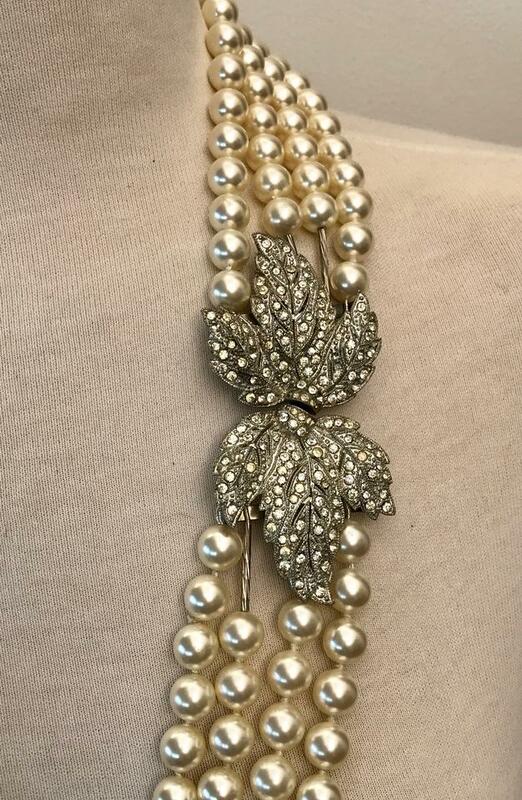 I have the most stunningly beautiful vintage 12 mm faux pearl 4 strand necklace with a huge double leaf design rhinestone clasp. The pearl strands are slightly different lengths so they lay flat against your chest. 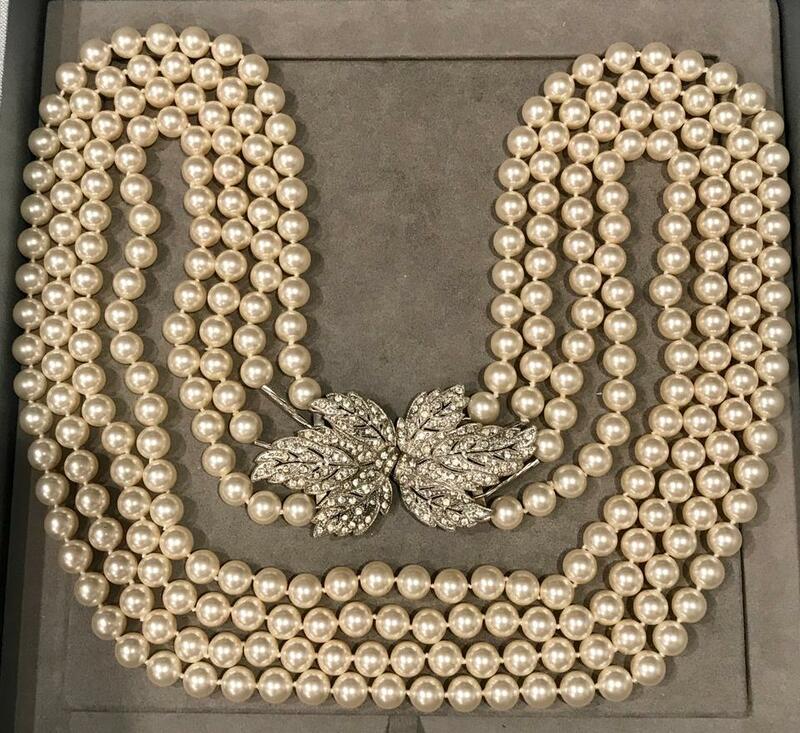 The necklace is approximately 33" long. 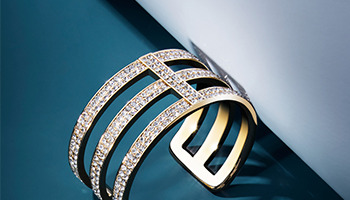 The clasp can be worn at the side of your chest or at the back of your neck. It can also be worn as a belt! 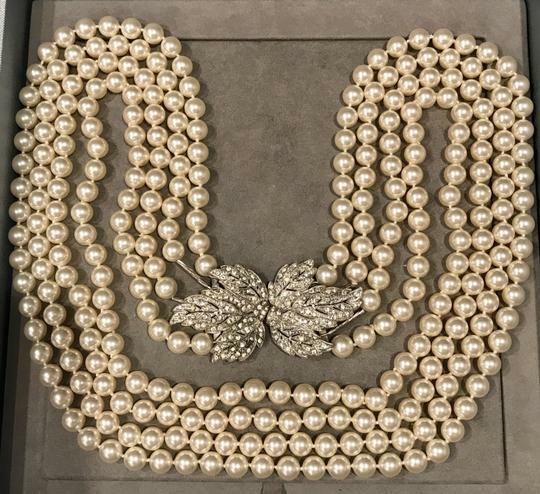 The pearls are individually knotted and were recently restrung. They are in fabulous condition and have a beautiful lustre and colour. 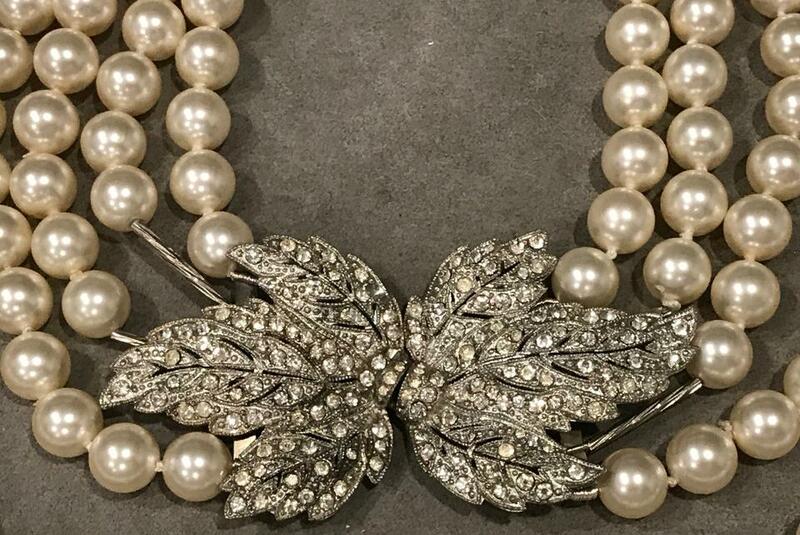 It is an incredible statement necklace and one that will surely generate much admiration! 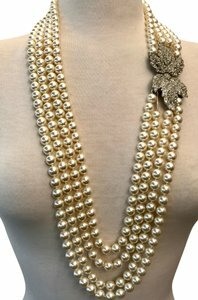 The pearl necklace comes in an organza jewelry bag. I am listing clothes, shoes, handbags and jewelry from my personal collection. 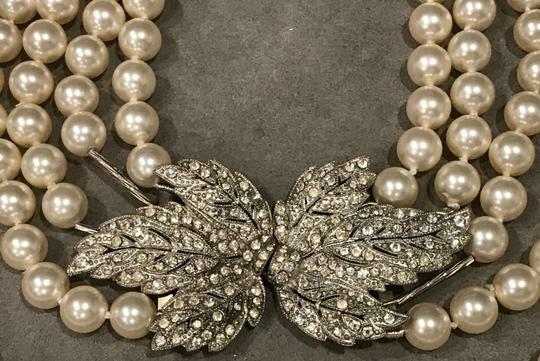 I shop all over the world in the leading luxury retail stores - Chanel, Oscar de la Renta, Christian Dior, Hermes, Lanvin, Gucci ... to name a few. Many items are barely used and in some cases, never worn at all. They are all in very good condition or they don't make it to Tradesy! 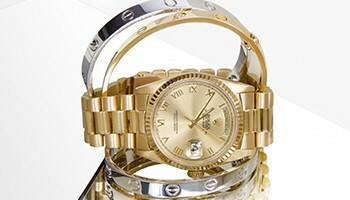 All my items are 100% authentic and purchased by me. Please check back again as I add new items every week. Follow me to be the first to learn about my sales and new listings!